Another new genus. 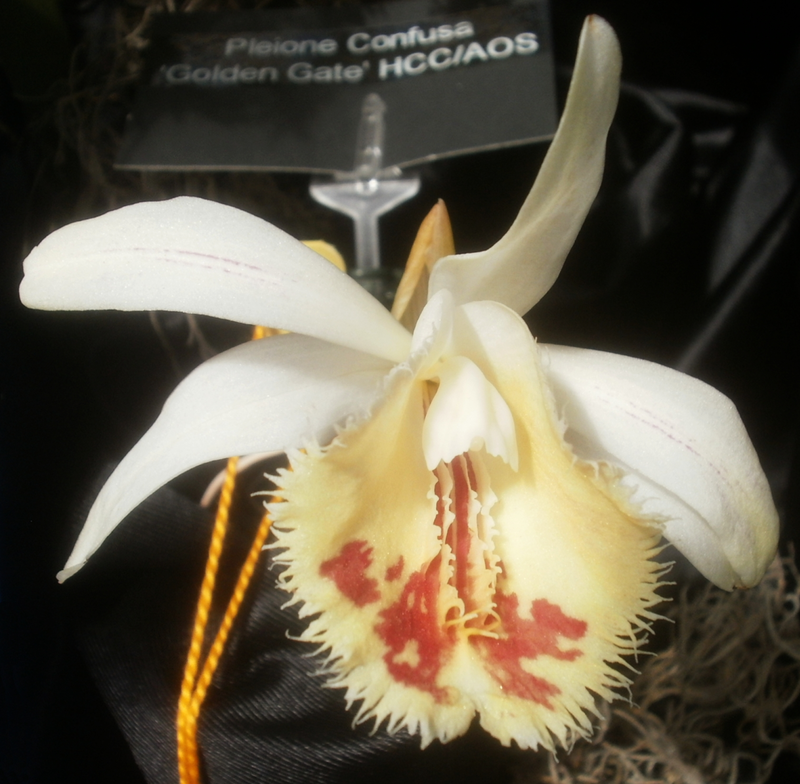 Don't know a lot about Pleione, but this is apparently a naturally-occurring hybrid of P. albiflora and P. forrestii (Ref. ), and I guess it's interesting. "Pretty" might be a stretch, but you can call almost anything interesting and have it be true.